Hello, readers! Handyman here with some quick tips and resources on how to plan your garden. Do you feel like you’re already too far behind to get your garden started this year? Well, you’re not! There are plenty of growing days left in the season to successfully plan your garden. And enjoy a great harvest! If you haven’t already, check out how late I started my first year’s garden. It can be a very difficult task to plan your garden. That difficulty can seem significantly increased because of all the scattered information that’s out there for you to use. Having several tabs open on your browser, (or books in your lap) hoping that one doesn’t close and leave you trying to find all your resources again. That problem is one thing I know my blog can fix for you. My goal is to compile all of the information and resources for you. So it is easy to find what you need. Regardless of the difficulty, however, the importance cannot be overstated. Vegetables are very specific in what they need, they don’t grow like weeds in the slightest! If you don’t properly plan your garden, you may accidentally crowd your plants too much; or the opposite – you might give them too much room, leaving space for weeds to thrive and take over. If you don’t think through what you’re planting, and where, you might place rivals next to each other; which could result in a much less prosperous growing season. Also important is remembering where you planted your seeds. If you don’t plot it out and have a way to keep track of it (like with my seed planting guide that you can download here and I’ll show you how to use a little later in this post) then you might forget where you planted different things, giving the weeds another chance to take over your growing area. Okay, It Is Important to Plan Your Garden – How? There are three important parts of how to plan your garden. One – Know where you’re planting and how much area you’ll have. Two – Know what seeds you want to grow. Three – Plan where you’d like to plant each seed. What is your watering system for the area you want to plant in? How much ground will you feasibly be able to work this season? How much time will you have to dedicate to the planting/cultivating this year? After knowing your answer to those questions, you’ll know how much garden to plan for this season. Whether it’s one 4’x8′ raised garden bed box, or three 4’x50′ boxes, or more! On then, to deciding what you want to plant. The rule I garden by is to plant twice as much as I think I’ll need. Why do I garden by that rule? Because you never know what is going to happen. There may be a drought and only half of your garden survives. Or tomato blight can hit you hard and decimate your crop. Some seeds might not even sprout. So, if you only plant exactly what you need, then you’ll be hurting. If nothing like that happens, then you’ll have veggies to share with your neighbors – or more for canning and preserving – and if they start to turn a little bad, you could always give them to your farm animals, if you have any. Our goats and chickens loved our leftover turnips and radishes last year. The last step to planning your garden is deciding where you want to put each specific seed. For this task, you’ll need a reliable Companion Planting Guide, like mine, and a guide to how many of each seed can be planted per square foot. If you subscribe to our newsletter, here, I’ll send you mine! I personally like to keep this part of the planning stage as organized as possible. I have a notebook dedicated to drawing scaled versions of my actual garden boxes. Then, after I have my box drawn, I decide what main vegetable I want in that box and then surround it with its companions. As long as the companions aren’t rivals with each other, of course. Choose a standard measurement to draw your box to scale, one that will fit your garden box on the paper you’ve selected. 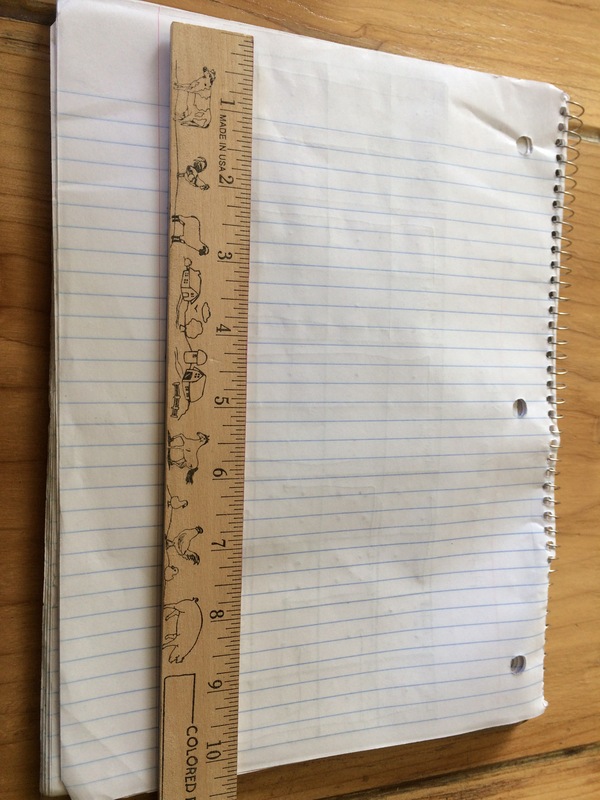 I choose to use a standard 8 1/2″ x 11″ spiral notebook so a 1:12 scale works perfectly for my 4’x10′ box (1 inch represents 1 foot). Draw out the perimeter of your planting box. I use the margin line as a guide to make it straight. Mark every inch, or to the scale of your choosing, of the perimeter of the box you just drew; going in the same direction (top to bottom, or left to right) for each parallel side to ensure the marks line up together. Connect the marks directly across from each other to make a grid pattern. Use the seed per square foot guide and diagrams and companion planting guide to plan and mark each seed’s location accordingly. After you’ve completed this diagram, you’ll be able to use it to guide you while planting your seeds. Having this will help you stay organized and make the whole planting process feel less overwhelming. After each square foot of the box is planned out, and the area is ready to be planted in, I put my notebook in a gallon sized ziplock bag for protection and plant my seeds. Also on my scaled drawing of each square foot box, after the seeds have been planted, I write down the approximate harvest date for each seed. Next week, I’ll be going over something that might feel a little off-topic. What to do if you feed something to your goat that makes them sick. You may not know it, but several of the vegetables you might decide to grow could cause serious harm to your pets or livestock if digested. 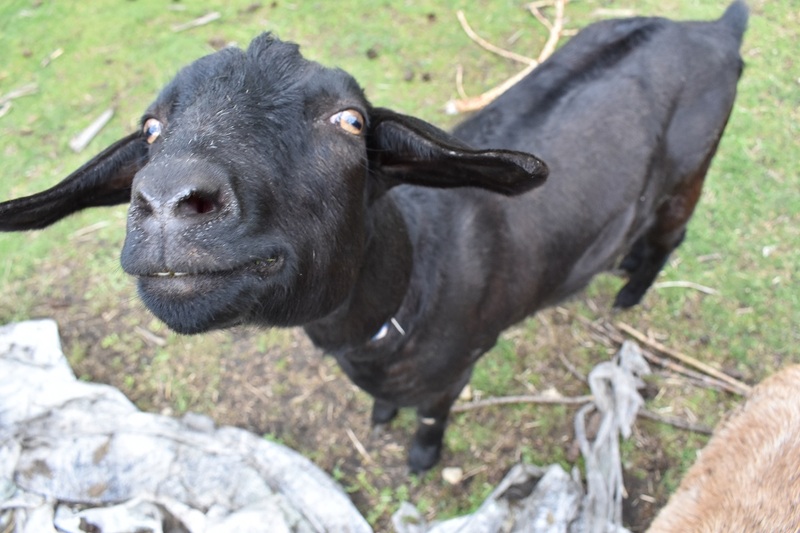 I’ll show you how to make a life-saving antidote that is useful to have on hand for every goat owner.